Cabin In The Woods is the latest piece from Joss Whedon and Drew Goddard. It's a horror/thriller about five college kids that go stay at a cabin....in the woods. I would give you more to the synopsis, but it would spoil it for you. Really, this film is filled with so much interweaving detail that it is hard to talk about! Basically I can say someone dies. I tend to get so into movies that I stopped watching horror for my sanity. I only broke this rule because of Joss. So glad I did. This is such a good movie that it was worth the scared feeling. It is a film that I am still thinking about, even days later. CitW just stays with you, like a fungus you have grown to love. The acting was spot on, with lines delivered right and sold perfectly. My particular faves were Richard Jenkins and Bradley Whitford. They both stood out in their roles and conveyed varying emotions at the drop of a hat. This film is also jam-packed with Whedon staples, including a brief scene with the intern , played by Tom Lenk! So go see this, even if you are terrified. (My cure for being scared is watching a few episodes of Community.) Totally worth the money and time to check out the Cabin In The Woods. The Hunger Games opened on March 23rd, and I was there for a midnight showing, prepared to get my review of it out for all of you. So why did it take me so long to write my review? Well, as luck would have it, during what I think is the most emotional moment of the movie the film broke. For those of you who have already seen the movie, it broke right between the moment in the Games and the moment in the District (if that makes sense). It involves the three-finger salute. The film broke so badly, we had to switch theaters and after that, it was really difficult to get sucked back into the movie. I had to wait until I could see it again, which I finally did yesterday. 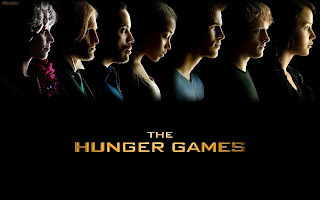 So, without further ado, I present my somewhat late review of The Hunger Games. I love this movie. I think it has an incredibly strong script, great cast, and is extremely well executed, but having read the books several times over, it was hard at times to separate the movie from the books. In fact, I would go so far as to say this is a movie you should see BEFORE reading the books, so you don’t fall into the trap I did. Seeing it again helped me look at the movie with a fresh perspective. So, let’s talk about the movie. We'll start with the cast. You could not ask for a better cast. Jennifer Lawrence was made for this role. She is Katniss Everdeen. I cannot think of anyone else who could have played the role as well as she did. She makes me excited for the other movies. The boys – Josh Hutchinson as Peeta and Liam Hemsworth as Gale. Liam is only on screen for moments, yet he makes an impression, and Josh really surprised me. I didn’t know what to expect with him. It bothers me a little bit that he doesn’t meet the physical representation I had in my mind, and his mouth hangs open a lot, but he’s Peeta. The moment I was completely sold was when he did his interview with Caesar Flickerman. They shared a laugh, and then sat as mirror images of each other. I don’t know if that was a director’s note or improved, but it worked. My only question about him is did anyone else think he looked like he stepped out of the old Hawaii Five-0 when he was in that blue suit? Maybe it was the sleepiness, but that’s all I could think about at that moment. In adaptations I do prefer the characters to look similar to how they are described in the books. Donald Sutherland as President Snow did not look at all like I had originally thought, BUT he embodies the character in spirit so well, that it doesn’t matter at all. The same goes for Woody Harrelson as Haymitch. For some reason, I saw Haymitch more like a combination of Presidents Taft, Cleveland, and Teddy Roosevelt. Don’t ask me why, I’ll never know. But Woody did a great job. His character was changed a bit. Haymitch is supposed to be a sloppy, fall down drunk, and it’s a great comedic element to an otherwise, horrific story, but here, he’s not. Now he’s more of a manipulator and actual mentor. He’s in it. One great scene is showing him schmoozing with people trying to get sponsors. It works really well, and it shows that he genuinely cares about the outcome of the Games. Still, I would have like to see him fall down at least once. Elizabeth Banks is brilliant as Effie. I like her better in the books, but that is more of a script issue than anything Elizabeth did. The physical transformation she went through is quite impressive. There was a lot of controversy surrounding the casting of Rue, which made absolutely no sense, given that she was actually cast from the description in the book, but regardless of all of that, Amandla Stenberg was everything I could have imagined Rue to be, and she did an amazing job. Let’s move on to the design and scenery. From the first moment you see District 12, you feel as if you are in the world of Panem. Aside from the casting of Jennifer Lawrence (we’ll get to that in a moment), this had to be the most spot-on accomplishment of the movie. The dreary poverty of the districts compared to the crazy opulence of the Capitol successfully set the stage for the impending rebellion. 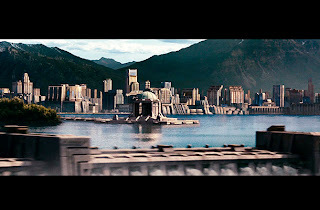 My first thought upon seeing the Capitol was it was like Atlantis. The structures gave the impression of a city on the water. In that first moment, I was like Peeta, overwhelmed by its extravagance. I loved the training room. I’ll talk more about the plot in a moment, but I loved how the Gamemakers were above everyone watching down on them, because it helped make Katniss’ somewhat underwhelming private session more interesting. The arena was well done, but I was disappointed in the Cornucopia. The book describes it as gold, and it was a black/silver monstrous thing. It made for an interesting contrast with the rest of the surroundings, but it’s one of the few design elements I believe could have been better executed. The other element that was good but could have been better was the fire outfit. Before the movie came out, it was one of the most discussed pieces. 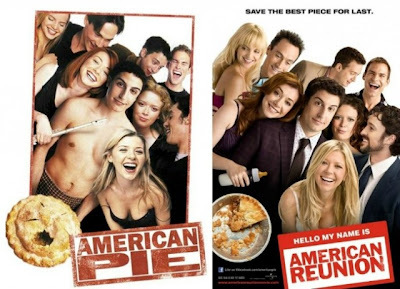 Designers were creating their own image of it, and I think compared to some of their ideas, the movie version was a little bit of a fail. It was good, but not great. It didn’t make a big impression. Heck, some of Effie’s clothes made a bigger impression than that. 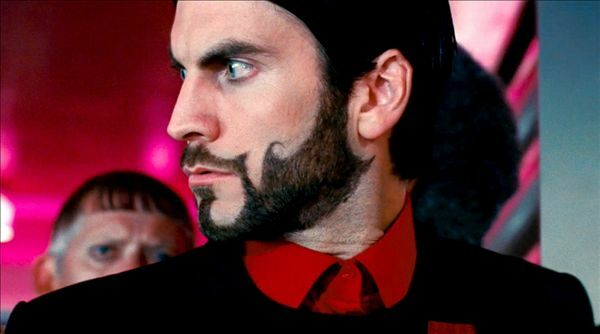 Speaking of, the Capitol clothes were a little insane. It was like as if one had stepped into The Wizard of Oz in that first moment when Dorothy lands in Oz, opens thedoor, and finds everything in Technicolor. So many colors. But enough about that, let’s talk about the most important aspect of the movie: the plot. There are several minor characters missing such as Greasy Mae, Darius, and Madge. I think I miss Madge the most, but it’s understandable why they were cut. I just wish they had been there because they helped give more insight into Katniss. altered. It becomes the symbol of the revolution, but they hid it in the movie. Instead of Cinna talking about how unfair it was that Katniss had to go through the games and secretly attaching the pin, he could have had a line about keeping it as her token, and she could remain oblivious until the next movie. I’m being a little nitpicky, I know, but that was the overall feeling I kept having. There were little moments and lines that were taken out, but if they had been kept in, relationships could have become deeper, and situations could have taken on a different context. Perfect example is Peeta doesn’t say anything about blood poisoning. In book one, the blood poisoning line is practically a throwaway line, but in book three, it has a special and important meaning. Or the moment when Katniss and Peeta gang up on Haymitch for the first time. They do it together in the book, but in the movie, it’s just Katniss and the knife. Having that moment would have shown them acting as a team for the first time, and then they wouldn’t have had to have that weird moment on the chariot where Katniss flinched away from taking Peeta’s hand. It’s little things like these that took me out of the movie a bit. Time was sped up for the games. What should have taken weeks seemed to take only a few days. The two most noticeable events are the riot in District 11, which does not happen until book 2, and Peeta and Katniss in the cave. The cave was important because of how it developed their relationship. We all know Peeta was nuts about Katniss, but no one could be sure of her feelings for him until he was dying. It felt rushed. And by moving the District 11 riot up, we are denied them giving Katniss the bread that was meant for Rue, and I’m not sure if they will be able to have certain scenes that were in book two in the movie. I don’t want you to think I thought all changes were bad. One of my favorites was to show Seneca Crane in the control room, and Caesar Flickerman giving us the play-by-plays. Loved the trackerjacker explanation. It was a stroke of genius. Showing just how much of a “reality show” the games were really helped set the stage for what’s to come in the next movies. One of the biggest differences I saw was that Katniss understands just how messed up the Games is. I felt her anguish over Rue, but when she saluted the cameras, it felt like she knew how defiant she was being, and the same goes for at the end with berries. She appeared to be more cunning in the movie, whereas in the books, she doesn’t understand how important her actions are and what they mean to the rest of the Districts. It makes me wonder how she is going to be portrayed in the other movies. It’s these little changes that made me at times sad for their lack of inclusion, but also hopeful and excited to see how the other movies are going to turn out. 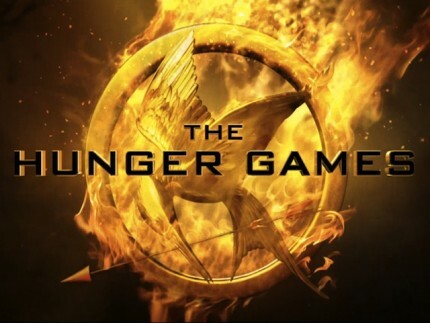 Even though The Hunger Games has lost its director, I believe if the next one keeps the tone, then we are going to be treated to something incredible. 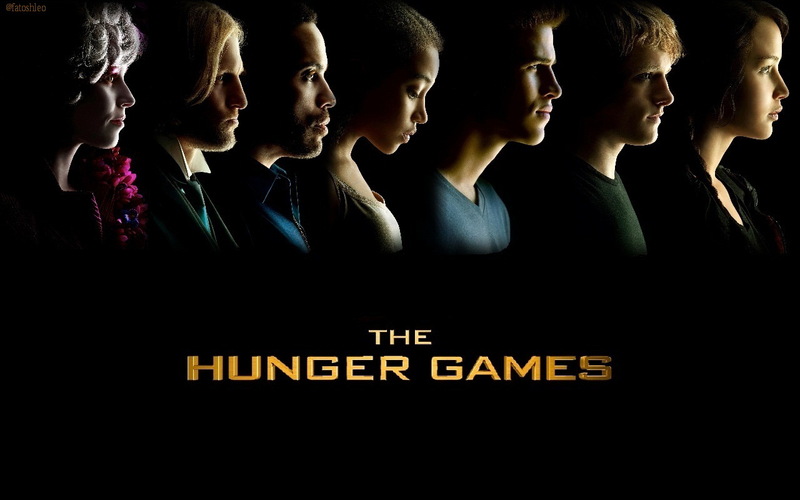 So, if you haven’t seen The Hunger Games yet, get yourself to a theater. If you have, go see it again. It’s worth it. Hello Spring! Traditionally, spring brings showers, flowers and cleaning. With all of the traditional spring cleaning going on, make sure you take care of the other aspects of your life. One area I try to take care of is cleaning up my comic pull list. Making sure that you are happy with the pull list is good for you and your local comic shop. It saves you money on your purchases, and it prevents excess stock from cluttering up the shelves. 1: Contact your Local Comic Shop for a copy of your pull list. While I'm sure you are thinking that you know everything on your list. It is possible that something might be on your list that hasn't been published in a while or was added by mistake. This means you won't forget a single title. 2: Pick out the comics that you are dying to read. You know, the ones where you put down the latest issue and can't believe it is another whole month until you find out what happens. These are definitely keepers and should go on your new list. 3: Look at what you are behind in reading but still buying. Ask yourself why you are still buying them. Is it because you genuinely love the series or are you just buying because you like the writer/artist/character? Take a hour or two to read the next issue(s). If you want to keep reading, it's a keep. If not, delete it. 4: Look at what's left. If you are buying something you aren't even reading, it is a delete. 5: What else are you reading? Take a look at the comics you have been buying that aren't on your list. If they are something you are dying to read, add them. 6: Add up how much everything costs. If you can't afford it, go back and prune some more. On average, prices fall between $2.99 and 3.99. You can check a price at Diamond Comics Previews. If you are feeling lazy, you can ballpark it by using $3.99 for all of them except for DC titles. Now just submit the shiny new list to your LCS and make sure they know it is replacing the old one. Congrats! Now you can go to get your exciting comics every week and even have some spare room to add new series!